Boer – Under Every Leaf. Today is Empire day! Every year on the 24th of May throughout the Empire the achievements of this Little Island in the Atlantic Ocean were celebrated. In honour of this day I thought I would do a quick post on one of the Empires favourite sons, Winston Leonard Spencer-Churchill. One of the things I have noticed as I have researched for this blog is the amount of times you come across Churchill in the Empire. He seems to appear in pictures from the Sudan, India and South Africa and this is all before his greatest moment in World war 2. 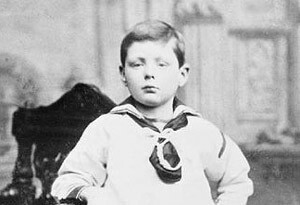 He was born on the 30th November 1874 into one of the grandest families in Britain and was the grandson of the 7th Duke of Marlborough. A true son of the empire he born at the height of Imperial reach. Destined for a career in the army he struggled to pass the entrance exam for the Royal Military College, Sandhurst. It took him three attempts and he only qualified for the cavalry and not the Infantry. Sandhurst was the making of him and in 1894 he passed out 2oth out of 130. Upon passing out he joined the 4th Hussars as lowly Cornet (2nd Lieutenant). With his pay at £400 pa but by his own reckoning needing £900 pa to live up to the standards expected he turned to war correspondence to supplement his earning. Churchill was determined to see action where ever and whenever he could. In 1895 he sailed to Cuba to see the Spanish fight Cuban guerrillas and he came under fire on his 21st birthday. It was while in Cuba that he first acquired the taste for Havana cigars. Something that would acquire a fame of its own during WW2. 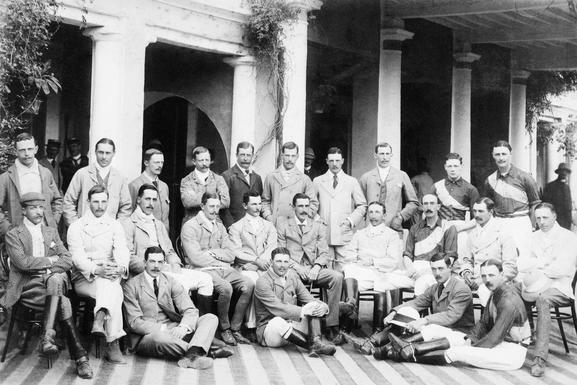 In late 1896, Churchill transferrred to Bombay in India. A keen Polo player he soon established himself one of the best players in India. As always his aim was to see action, this time it was in Malakand in the North West Frontier to campaign against the Pashtun tribes. Every influence, every motive, that provokes the spirit of murder among men, impels these mountaineers to deeds of treachery and violence. The strong aboriginal propensity to kill, inherent in all human beings, has in these valleys been preserved in unexampled strength and vigour. That religion, which above all others was founded and propagated by the sword — the tenets and principles of which are instinct with incentives to slaughter and which in three continents has produced fighting breeds of men — stimulates a wild and merciless fanaticism. The love of plunder, always a characteristic of hill tribes, is fostered by the spectacle of opulence and luxury which, to their eyes, the cities and plains of the south display. A code of honour not less punctilious than that of old Spain, is supported by vendettas as implacable as those of Corsica. India had a profound effect on Churchill and he saw India as the jewel in the Crown and essential to the Empire. His racism towards the Indians would effect is outlook on dealing with The Indian independence moment and he had a deep dislike for Gandhi. His actions during the Bengal famine where ineffectual if not down right negligent but he always believed that The British Empire was a force for good in India and that by bring civilization to millions of ordinary Indians it would improve their lives. In 1898 Churchill was sent to the Egypt where he explored the sites of Cairo and the Pyramids before joining the 21st Lancers in the Sudan. During this time he was commanded by General Herbert Kitchener and Douglas Haig, both of whom he would work with during WW1. At the Battle of Omdurman in September 1898 he would take part in what is know as the last meaningful charge by British Cavalry. His books on the Conquest of the Sudan became best sellers and he resigned from the army in 1899. It is the habit of the boa constrictor to besmear the body of his victim with a foul slime before he devours it; and there are many people in England, and perhaps elsewhere, who seem to be unable to contemplate military operations for clear political objects, unless they can cajole themselves into the belief that their enemy are utterly and hopelessly vile. To this end the Dervishes, from the Mahdi and the Khalifa downwards, have been loaded with every variety of abuse and charged with all conceivable crimes. This may be very comforting to philanthropic persons at home; but when an army in the field becomes imbued with the idea that the enemy are vermin who cumber the earth, instances of barbarity may easily be the outcome. This unmeasured condemnation is moreover as unjust as it is dangerous and unnecessary. Churchill as a prisoner of War. South Africa. 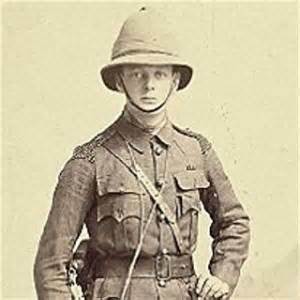 In 1899 as the Boer War broke out in South Africa, Churchill obtained a commission to act as a war correspondent for the Morning Post. He was soon in the thick of the action. He was in a scouting expedition on an armoured train when it was ambushed. 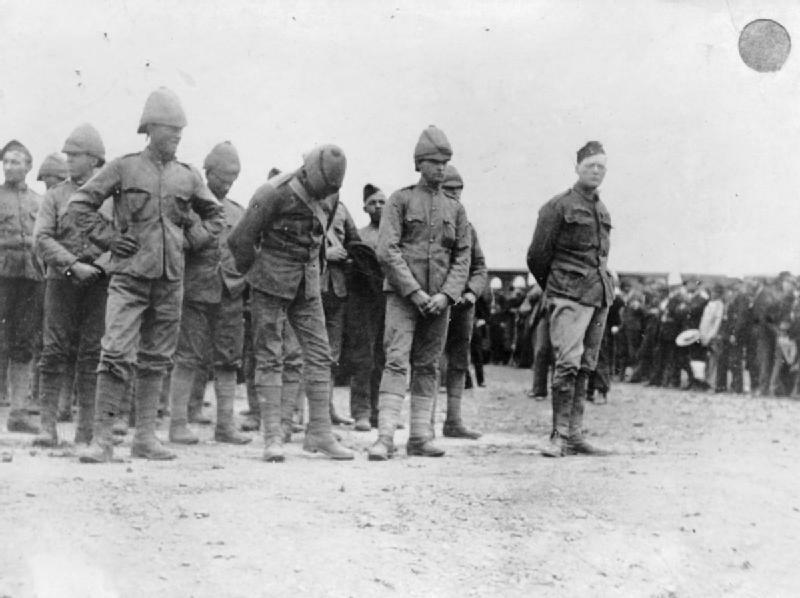 Captured and despite being a correspondent he was sent to Pretoria as a POW. His escape and return to British lines turned him into a minor celebrity and this helped in securing his election to Parliament in the 1900 elections. Churchill had a mixed war. 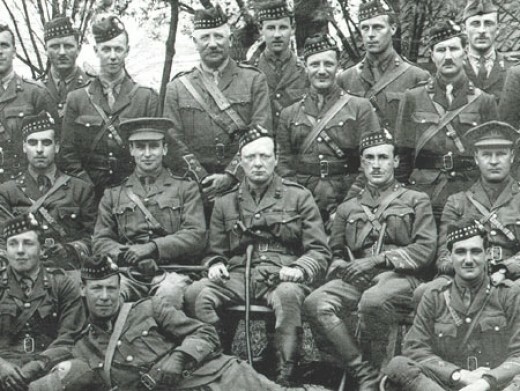 As first lord of the Admiralty his proposal for the disastrous Gallipoli campaign lead to his resignation and after leaving the cabinet he travelled to the Western Front where he was given command of the 6th Royal Scots Fusiliers. Correspondence with his wife shows that his intent in taking up active service was to rehabilitate his reputation, but this was balanced by the serious risk of being killed. As a commander he continued to exhibit the reckless daring which had been a hallmark of all his military actions, although he disapproved strongly of the mass slaughter. The Inter war years were some of the toughest Churchill would have to face. As an outspoken critic of disarmament and appeasement of Hitler’s Germany he became something of a laughing stock. With the coming of war and Chamberlain’s resignation the country clamored for one man. 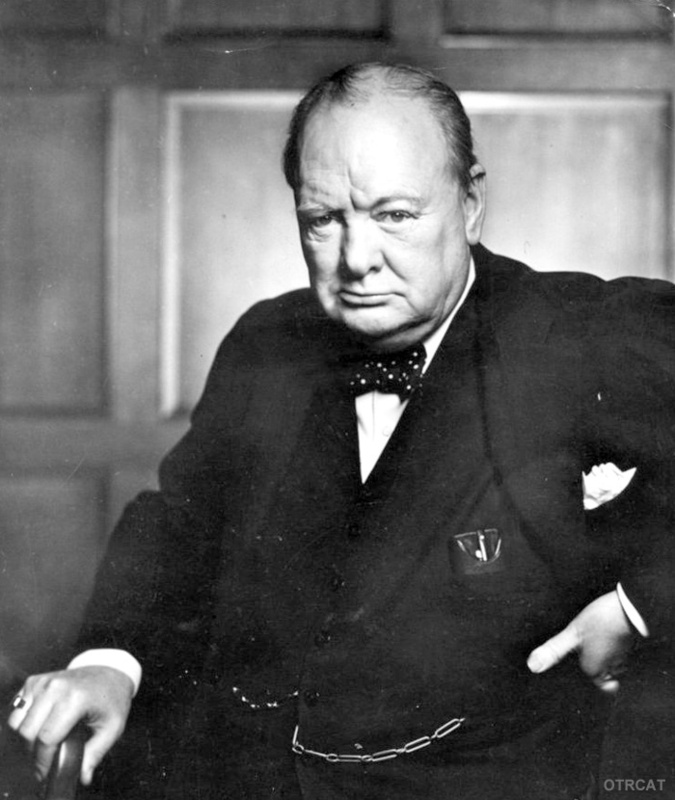 Churchill became Prime Minister in May 1940 and immediately galvanized the country. I would say to the House, as I said to those who have joined this Government: ‘I have nothing to offer but blood, toil, tears, and sweat.’ We have before us an ordeal of the most grievous kind. We have before us many, many long months of struggle and of suffering. You ask, what is our policy? I will say: It is to wage war, by sea, land and air, with all our might and with all the strength that God can give us: to wage war against a monstrous tyranny, never surpassed in the dark, lamentable catalogue of human crime. That is our policy. You ask, what is our aim? I can answer in one word: It is victory, victory at all costs, victory in spite of all terror, victory, however long and hard the road may be; for without victory, there is no survival. The second World War has been called Winston’s greatest hour so it is somewhat ironic that in winning the war he destroyed the Empire he adored. Winston Churchill died on the 24th January 1965. He died known as the saviour of the free world and even in 2001 was voted the Greatest Britain of all time but in my eyes he will always be a son of the Empire.